We are a leading Manufacturer of sector shafts from Delhi, India. Sector shafts also are one of the finest quality raw materials which our company is offering to its clients at a very easily affordable range of prices. We are manufacturing and supplying and these sector shafts to our clients in each and every region of the country as well as in other regions of the country also. 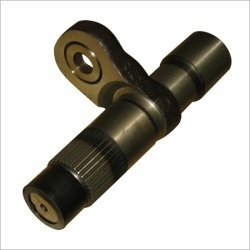 These selector shafts have been manufactured using very tough and tensile quality raw materials at our company and hence are very long lasting. We are offering these sector shafts to our clients at a very conventional and attractive range of prices. Looking for Sector Shafts ?